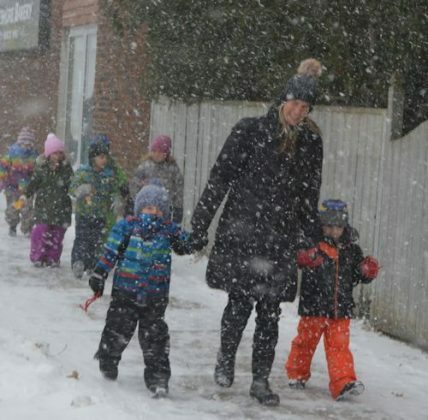 It was blustery, cold and snowing but that didn’t stop the students from G. C. Huston Public School on Wednesday, November 21st, as they trekked from the school to the Southampton Town Hall. 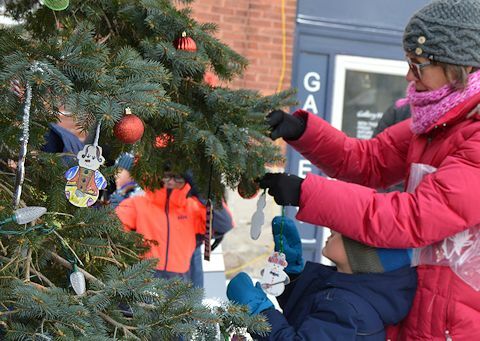 There, they decorated the Christmas tree with their hand-made ornaments in preparation for tonight’s (Nov. 22) tree lighting ceremony and Southampton Sparkles shopping night. 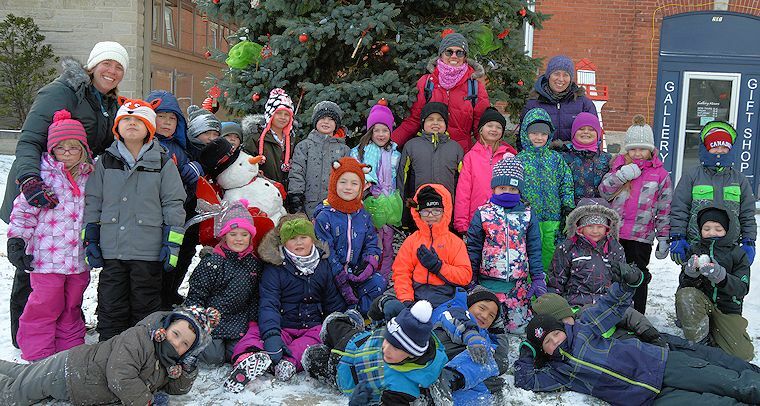 The decorating began with the Grade 1 classes of teachers Sandi Bennett and Heather Cosgrove and was followed up with Sarah Matheson’s Senior Kindergarten (SK) class. 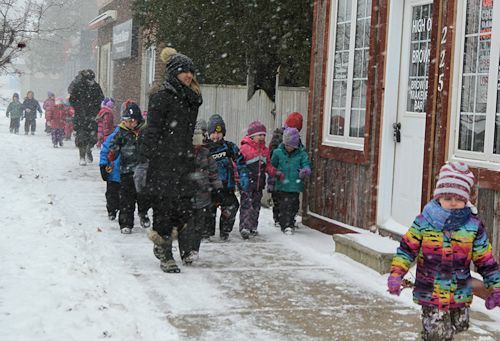 The young students were bundled up and didn’t seem to mind the cold however, just as the SK class arrived, a snow squall hit the area with high winds and blinding snow coming across Lake Huron. 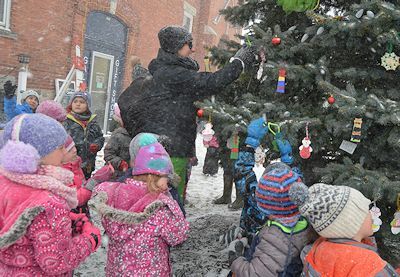 It was a challenge but the students carried on with the help of some parents who joined in the decorating fun.